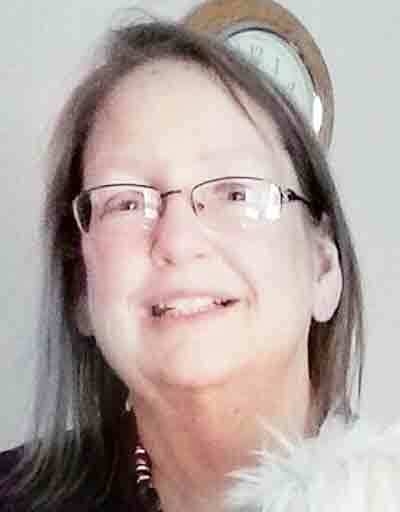 Karen Sue Byers, 52, of Belpre, passed away Dec. 4, 2018, at her home following a brief illness. She was born Jan. 14, 1966, in Parkersburg, a daughter of the late William and Geraldine (Richards) Byers. Karen was a graduate of Parkersburg South High School and furthered her education at WVUP where she obtained her Master’s Degree in Accounting. She worked at Public Debt with 20 plus years of service. She was a member of the 14th Ave. Gospel Mission Church, Parkersburg where she was active in teaching Sunday school to the kids. She loved traveling, especially to the beach where she would sit and listen to the ocean for many hours. Another place she enjoyed traveling to was Dollywood in Tennessee. Karen had a strong love for her dogs and everyone who knew her loved her. Left to cherish her memory are her siblings, Patricia Whitecotton, Rose Cook and William “Bill” Byers all of Parkersburg. Service, 1 p.m., Saturday, at Sunset Memorial Funeral Home, Parkersburg, with Pastor Tim Burch officiating. Burial will follow in Sunset Memory Gardens. Visitation will be from 5 – 8 p.m., Friday, Dec. 8, at the funeral home. Sunset Memorial Funeral Home, Parkersburg, is honored to serve the Byers family.